The staff at ITMA are putting the spotlight on women this March 8th. Read, listen, and watch a few of our favourite selections from the ITMA collection! International Women's Day is celebrated all over the world to recognise the social, economic, cultural, and political achievements of women. This year it's also a call to action, demanding greater gender parity for women. The first step on this journey is recognition. At ITMA, we're shining a light on some of the women who make Irish traditional music and dance great. From singers to scholars and players to collectors, each member of staff offers their pick of a gem from ITMA's digital library. Being a harper, I'm particularly drawn to aspects of the ITMA collection that relate to the Irish harp and harp music. This is an area filled with exceptional women, so choosing just one has been a challenge! In our print collection alone we have studies, tune books, and tutors by many of the great contemporary names in Irish harping: Sheila Larchet Cuthbert, Máire Ní Chathasaigh, Helen Lawlor, Gráinne Hambly, Anne-Marie O’Farrell, Kathleen Loughnane, Cathríona Rowsome, and Ann Heymann (to name only a few). Songs of the Irish Harpers: Collected and Arranged for Harp and Piano, by Charlotte Milligan Fox (London: Bayley & Ferguson, 1910). The note books and manuscripts of Edward Bunting came into my possession, and amongst them I discovered several beautiful melodies which he had not published. Five of these are included in this volume. Read more about Charlotte Milligan Fox here and explore her other publications in the ITMA collection. This is an area filled with exceptional women, so choosing just one has been a challenge! International Women's Day is a day for celebrating women. This song celebrates a particular woman: Nellie Weldon. 'Via Extasia' is a powerful love song composed by Nellie's husband, Dublin singer Liam Weldon. Watch and listen to Deirdre Scanlon's brilliant rendition of this song at the 2017 Frank Harte Festival. 'Via Extasia' as performed by Deirdre Scanlon at the 2017 Frank Harte Festival. 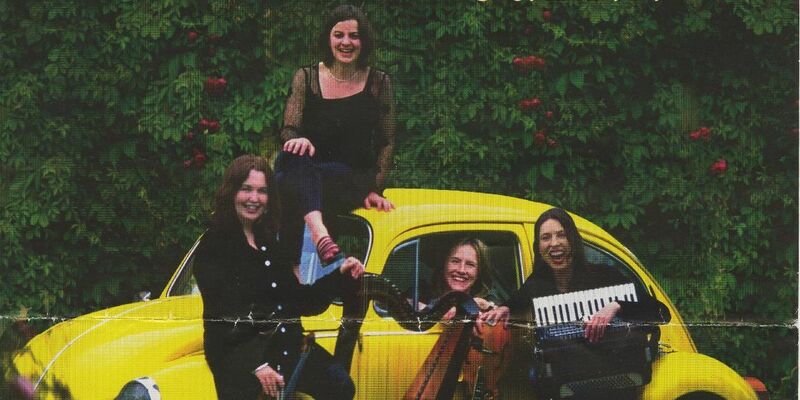 The Bumblebees were an all-women group active during the 1990s; they recorded two albums and toured internationally. Their members included fiddle player and academic Liz Doherty, harper Laoise Kelly, Mary Shannon on banjo and mandolin, and Colette O'Leary on piano accordion. This poster always makes me smile: you can almost hear the laughter emanating from the image and you just know that they were having a good time themselves. Caoimhe Flannery is a 16-year-old fiddle player from Rockchapel, Co. Cork. She is a great example of the many fantastic young female musicians that have come to the fore of Irish traditional music in recent years. Her music displays great technical skill, and is full of life and respect for the tradition. Taught by renowned fiddler Matt Cranitch, Caoimhe is a fine exponent of Sliabh Luachra music. She follows in the footsteps of other great female musicians from the region, such as Julia Clifford, Máire O’Keeffe, and Anne Sheehy McAuliffe. Caoimhe was the winner of the prestigious Fiddler of Dooney junior competition in 2017. I first heard Caoimhe playing at the World Fiddle Day Concert that was held in Scartaglin in May 2017. My pick for International Women's Day are two slides that Caoimhe played during that concert. The first tune, more commonly known as 'Barrack Hill,' was introduced by Caoimhe as 'The Cat Jumped into the Mouse’s Hole and Didn’t Come Down ‘till Morning' — a title that she got from Jackie Daly, another renowned musician from the Sliabh Luachra region. In fact, the second tune played by Caoimhe, 'Séamus Creagh’s Slide,' was composed by Jackie Daly in honour of Séamus Creagh, a musician who has long been associated with Cork and Sliabh Luachra. You can hear a recording of the entire World Fiddle Day Concert at ITMA. Click here for details. Caoimhe Flannery (photo courtesy of Bob Singer, used with permission). Viewed and shared by hundreds of thousands, the ITMA videos of step dancer Céline Tubridy are my choice for International Women's Day 2018. Donegal woman Céline Kelly, with her husband Michael, perpetuated an older style of traditional step dancing that she learned from Clare dancemasters Dan Furey (1910−1994) and James Keane (1917−2000). If you enjoy her performance of The Blackbird, check out our playlist of Irish Traditional Step Dancing with Céline and Michael Tubridy. It's a feature in the ITMA Digital Library. I gcuimhne Céline Tubridy (née Kelly) a fuair bás 30 Meán Fómhair 2017. Céline Tubridy dancing The Blackbird at the Willie Clancy Summer School; she was a regular part of the dance concert lineup. Our staff picks include only a handful of the many women at work in Irish traditional music and dance. 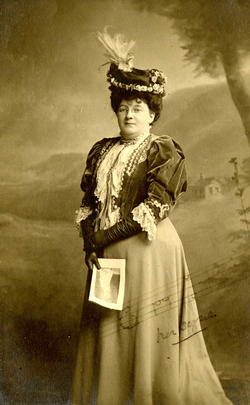 Names like Mrs Crotty (1885−1960), Ann 'Ma' McNulty (1887−1970), Kitty Hayes (1928−2008), and Mary O'Hara (b. 1935) have profoundly influenced generations of musicians and dancers, both in Ireland and abroad. More recently, Mairéad Ní Mhaonaigh, Mary McNamara, Karan Casey, Máire Ní Ghráda, Róisín Ní Mhainín, Máire O'Keeffe — to name just a few on a growing list — continue to highlight the vitality of women in Irish traditions. There are also women working behind the scenes to provide forums for the preservation and dissemination of music, dance, and research: Máire Nic Fhinn from Gael Linn, broadcaster Ainé Hensey, scholar Liz Doherty, and ITMA's own Grace Toland, among many others. There's no denying the importance of women in shaping the landscape of traditional music. This March 8, let's recognise the women who have shaped our tradition. Celebrate their contributions. And inspire the next generation of women and girls to make their mark. You can find out more about International Women's Day by following the link. You can stay up to date on how women are making their voices heard in Irish traditional music by following #fairplé or visit soundingthefeminists.com to find out about Irish women in music.